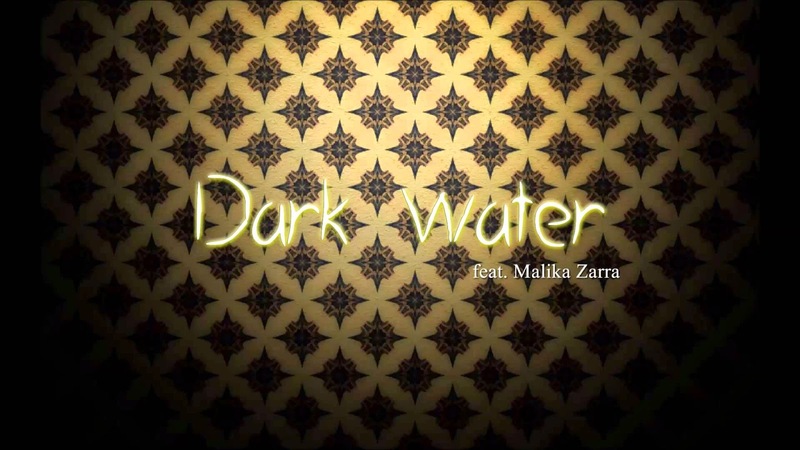 “Dark Water” is a blending of synthetic and organic instruments, Dark pop fusion with Middle eastern influences. Using Oud on a song was a first for me, and my favorite was the hammer dulcimer- so eerie and dreamlike. I don’t know about accidents, but the process was very unplanned, and the song was uniquely built. 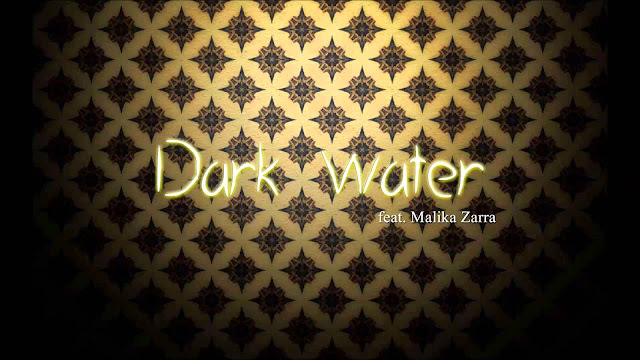 Malika sang, making it up as she went, over a simple drum loop and an Oud strumming just one chord for 20 minutes or so. I heard particular moments I wanted to repeat, accentuate, and rearrange so I took the track home and hacked it to pieces, building the song’s skeleton that way. After that I layered my own vocals, then we added drums, programming, cellos, more vocals, hammer dulcimer, guitar, and whatever else we could think of until it felt complete. I believe that artistic success comes from within your own heart. You’re either satisfied with your work or not. I am constantly surprised by the diversity of my fans. I have met so many different people from all around the world, who come together and find how alike they are in the music. It’s a beautiful thing. I often find that they are particularly compassionate, because they know what it’s like to feel outcast or different. I like subscription streaming services like Spotify. It gives you access to just about everything and although it is a very small amount, the artist does still get paid. But I do still buy if it’s an artist or album I really like, to support it. Our expectation today is for instant access to everything. If somebody wants to hear a song all they have to do is go to YouTube and click play. But I don’t think the solution is just forcing people to pay for music the old way. We have to think creatively on how to get artists paid so they can afford to continue to make the music we love. I think paid streaming is kind of like cable- you have to think of music in more of a package form, rather than purchasing a la carte. We just need to keep those sites accountable for what they pay the artists vs. what they pay labels, and what they pocket. I don’t understand the music industry today! I think the future is anything and everything. I think that’s what makes it art, as opposed to fast food or the most efficient smartphone. Singles, full albums, vinyl, music released in App form- who knows, the next cool thing could be somebody releasing their new single in an electric toothbrush and you can only hear it while brushing your teeth. I just made some cool music with Dave Eggar and Chuck Palmer for Hammerstep’s new live experience and short film project, Indigo Grey. Evanescence will be playing Ozzfest Japan November 21st, and I’m really looking forward to going back there, and performing live again! Evanescence are making their Ozzfest Japan debut and at present the show is the only scheduled performance for the Amy Lee-led group this year. Lee has spent time on soundtrack work and outside projects over the past year and the return of Evanescence is a welcome one for the band’s fans. The singer also welcomed her first baby, a boy named Jack Lion, in July 2014. 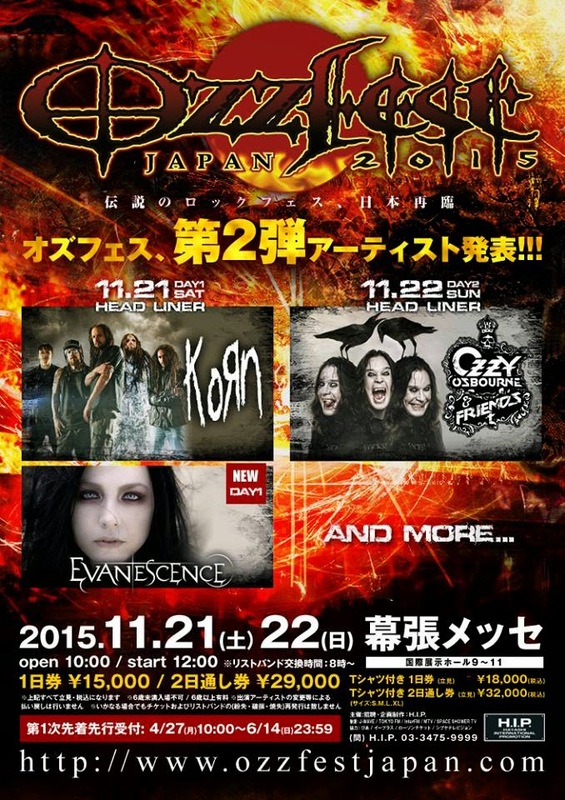 Very excited to announce that Evanescence will be playing Ozzfest Japan along with Ozzy and Friends and many, many more! The festival will be November 21 and 22- Can't wait to see you there!! 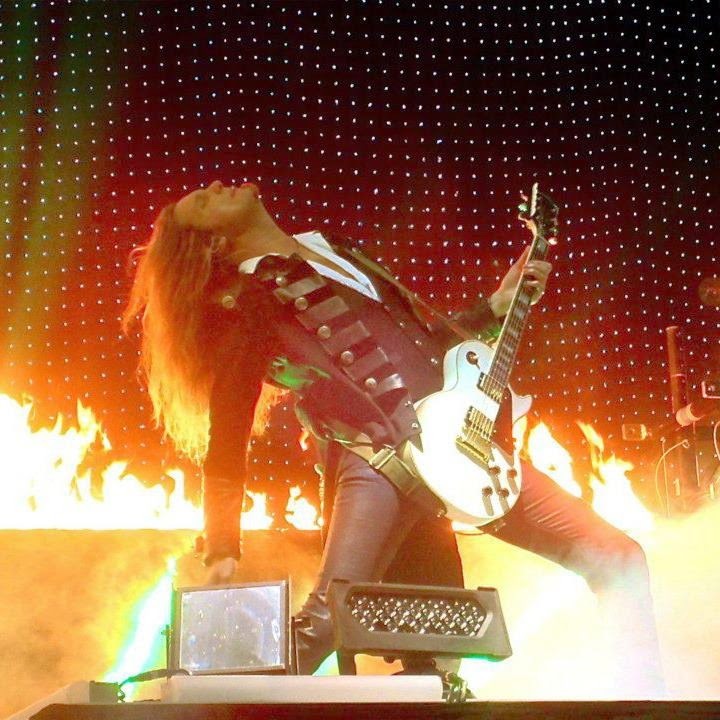 "Heavy metal guitarist Joel Hoekstra, member of Night Ranger, the Broadway hit Rock of Ages and Trans Siberian Orchestra recently stated he played on a song Amy composed for a film she scored. The song was ethereal rock and had singing on it." The wait is over. This is the next big surprise after Will Hunt's Q+A, only for the members of Amy's Army and EvTeam Greece. 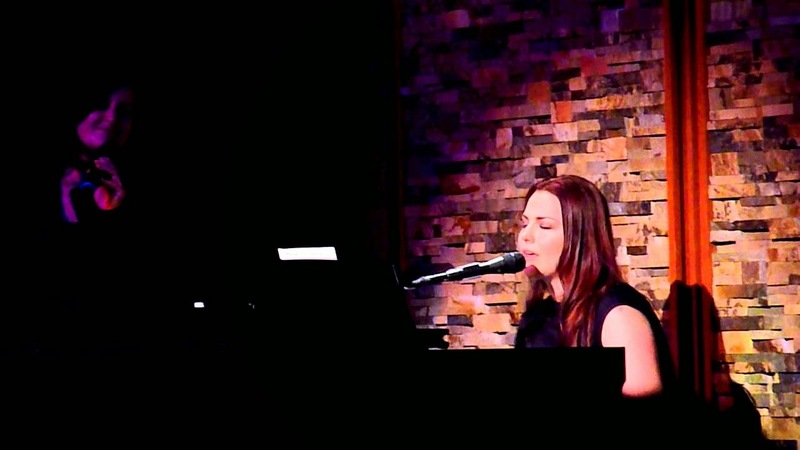 [NEW] Amy Lee Discusses About Evanescence 4th album!!! 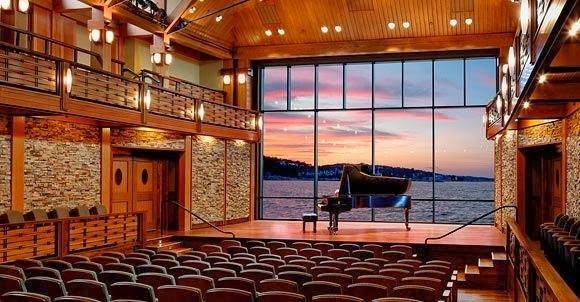 [PHOTOS] The place Amy Lee and Paula Cole are gonna perform! Lzzy Hale about possibly recording "Break in" in studio with Amy Lee!